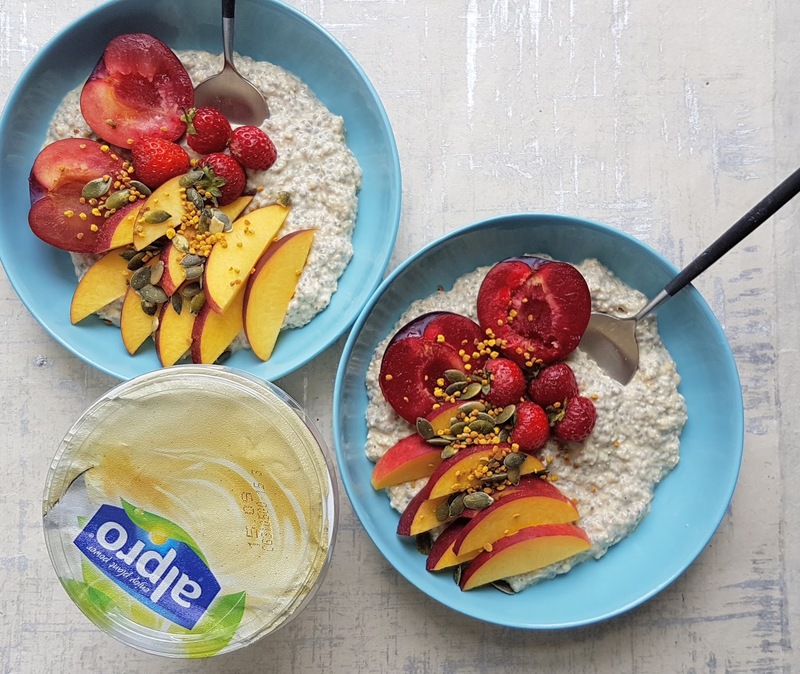 Another post in collaboration with Alpro and their plant-based yogurts and drinks, this time it’s all about the most important meal of the day: BREAKFAST. 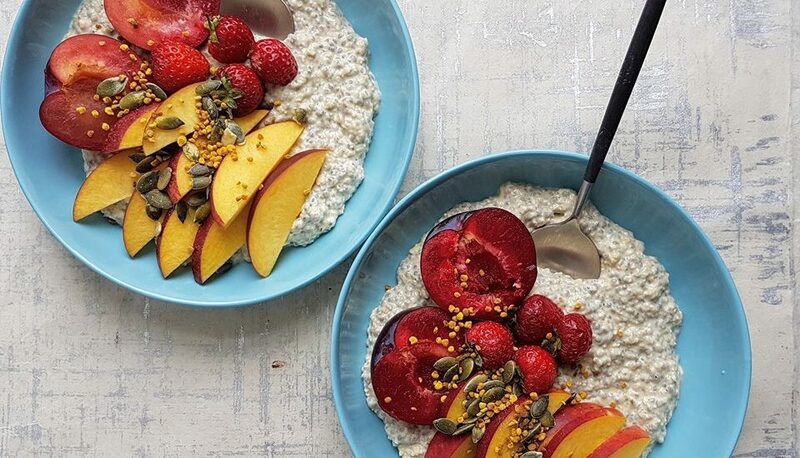 Overnight oats has to be one of the most simple things to make and enjoy – all you need to do is mix the ingredients together the night before then in the morning, add fruit, nuts and seeds (or whatever else you fancy) and boom, sorted! Even better, you can take the jar or tupperware box to work or at the weekend, out on a picnic if you’re out early enough! 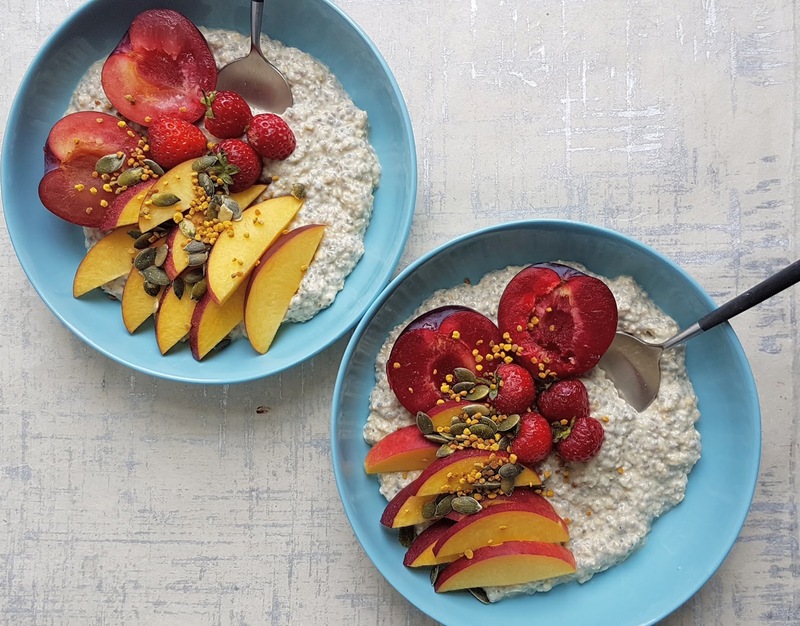 Here’s my favourite basic recipe with the addition of chia seeds for an extra nutritional boost. The night before, mix together the oats, chia seeds, yogurt, milk and cinnamon in a jar or tupperware box and stir well. Leave in the fridge overnight. 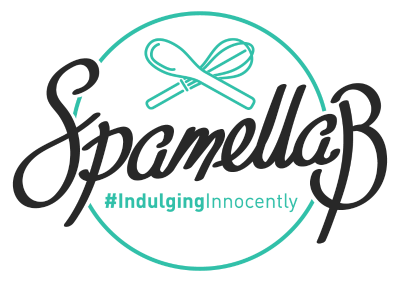 The next day when ready to serve, stir again then dish out. Top with fruit, nuts and seeds – then enjoy!